Learn about upcoming opportunities for collaboration, ASU's climb in HERD rankings and the new slate of ASU KEDtalks®. I hope you all had an enjoyable and restful holiday season. As we begin another year at the university, I have a few resources, opportunities and pieces of useful information to share with you. 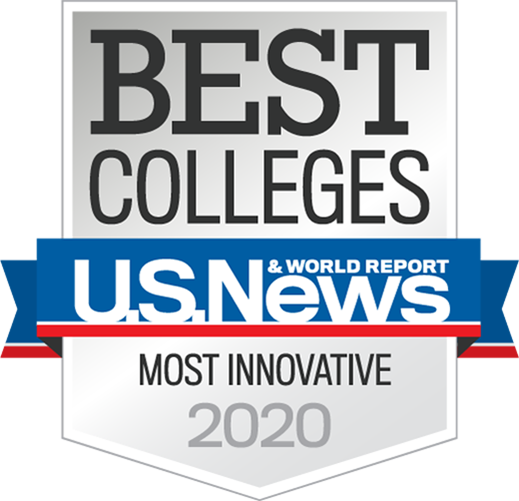 I’m often asked by my peers at other universities how ASU continues to improve, innovate and grow year after year. In response, I point to our faculty’s transdisciplinary approach to research and pan-university partnerships as important facets of our success. A great way to continue our tradition of teamwork and collaboration is to attend the annual Faculty Workshop on Feb. 1. The event is an opportunity to network, find your next collaborator and learn about resources and services available through the Knowledge Enterprise. Read on below for more information. Such partnerships and collaborations continue to yield impressive results for ASU, as evidenced by the recently released Higher Education Research and Development Survey (HERD) rankings. Your hard work and dedication have proved fruitful, improving our standing in a variety of areas. For example, we have moved up to No. 8 for total research expenditures among universities without a medical school, and we remain No. 1 for anthropology expenditures. You can see more of our rankings here. If you are interested in learning more about the ideas your colleagues are exploring, be sure to watch our upcoming season of ASU KEDtalks®. Stay tuned at research.asu.edu/KEDtalks or revisit some previous talks in podcast form. Starting later this month, the podcast will be moving to an interview format, offering further exploration into the topics covered in the KEDtalks videos. Energy efficiency is traditionally viewed as a pile of separate technologies to be added in order of increasing cost. Yet designing buildings, vehicles and factories instead as whole systems can save far more energy at several-fold lower cost. Exploring the idea of "integrative design," ASU Global Futures is hosting a special seminar featuring Amory Lovins, cofounder and chief scientist of the Rocky Mountain Institute. The seminar, titled Integrative Design for Radical Energy Efficiency will examine examples of integrative design from a variety of sectors that show how its implementation can create savings. Students, faculty and researchers at Arizona State University will soon have access to an unprecedented stream of daily high-resolution images covering Earth’s entire landmass and coral reefs. ASU has partnered with Planet, a San Francisco-based Earth-imaging company as their first institutional data partner for higher education. Planet operates the largest constellation of satellites in orbit today and this partnership will allow students, faculty and researchers to take advantage of their Dove and RapidEye 3–5 meter data. Tanya Harrison, director of research at ASU NewSpace, sees the potential for this data to be used throughout many disciplines. Research will benefit from this daily global coverage of Earth, but arts and media could also use this data for applications such as localized or immersive storytelling due to the frequency at which the images are updated. The opportunities to make use of this data across different disciplines will inspire innovation and research to better understand our world. “The full research potential for this has not been unlocked. I expect the temporal resolution of Planet’s data in particular will be useful to a lot of different researchers at ASU,” says Harrison. The data will soon be accessible by anyone with an ASU affiliation through ASU’s Center for Global Discovery and Conservation Science’s Planet Incubator website. This partnership opens up a world of opportunity from a whole new perspective. Help us celebrate this new partnership and learn more about how you can benefit by joining us for a kick-off event on Friday, April 26, where you can hear directly from those who are already accessing the growing catalog of imagery from the company’s satellite constellation for their research programs at ASU. ASU Core Research Facilities continues TECTalks, a series of lectures and workshops hosted by ASU faculty and guests surrounding science and technology topics. Dr. Kieu and Ben Cromey will describe the basics of multi-photon microscope systems including the benefits of label free imaging using second and third harmonics. This event is catered. A complimentary, appointment only, hands on demo of the 3P microscope system will be hosted by the Keck Bioimaging Facility (in LSC L2-80) and will run the entire month of April. Pathway analysis has become the first choice for gaining insight into the underlying biology of differentially expressed genes and proteins. Come learn web-based gene annotation, gene ID conversion, pathway enrichment, and protein-protein interaction networks. This talk will review the various thin film plasma processing techniques that exist within the NanoFab. These techniques include Reactive Ion Etch, Inductively Coupled Plasma Etch, Deep Silicon Etch, plasma sputtering, and Plasma Enhanced Chemical Vapor Deposition. The discussion will also include an introductory look into plasma discharge concepts, discharge configurations, and tool design considerations. Metabolism impacts or is impacted by virtually every cellular process, and altered metabolism is one of the hallmarks for many diseases, including obesity, diabetes, cardiovascular diseases, cancer, Alzheimer's disease, etc. In this presentation, Dr. Haiwei Gu, assistant professor in the College of Health Solutions will introduce the metabolomics field that has emerged as an extremely promising approach for providing detailed and multilayered information about complex biological processes and systems. Python is powerful for graphing and automation. Learn how to use Python to generate and customize sophisticated graphs for genomic data and automate the process. This talk will cover the Agave cluster configuration, batch and interactive access, and available software packages. A sample of applications run on the system will demonstrate the variety of computational research Agave supports. In this seminar, fundamental concepts in biostatistics will be discussed: How are hypothesis tests formed within the framework of an experimental design? How is uncertainty (such as error) treated? How are decisions made within hypothesis testing frameworks? How can we present our results as novel scientific findings? Check back for March 2019 TECTalks. Dr. Steve Presse, in the School of Molecular Sciences, was awarded $1.5 million from the National Institutes of Health to investigate "A Bayesian nonparametric approach to superresolved tracking of multiple molecules." Dr. Govindasamy (Mani) Tamizhmani, in the The Polytechnic School of Ira A. Fulton Schools of Engineering, was awarded $1.3 million by the U.S. Department of Energy Efficiency and Renewable Energy to study the "Reliability Evaluation of Bifacial and Monofacial Glass/ Glass Modules with EVA and Non-EVA Encapsulants. Dr. Scotty Craig, in The Polytechnic School of the Ira A. Fulton Schools of Engineering, was awarded $1.1 million from the U.S. Department of Defense's Advanced Distributed Learning Initiative to evaluate the "PERvasive Learning System from an End-User Perpective."